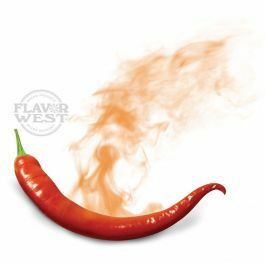 Capsicum flavor is made from a Hot Pepper Extract and delivers maximum flavor aroma and sweetness. This flavor makes a content rich and adds spice to any dish. Precaution: Avoid contact with eyes or open wounds and before using. Always be sure to wash your hands thoroughly after usage. If taken orally in large doses, capsicum may cause upset stomach, vomiting, and diarrhea. Type: All Natural Capsicum. Scoville heat units (SHU) 15,000,000. Ingredients: Natural Capsicum Hot. USP Kosher Grade Flavoring. Usage Rate: 15-20% for E-use. Flavor suitability: Desserts, pastries and baked treats, yogurt, ice cream, candy and more. Specific Gravity: 1.04 No Refunds on Flavoring.